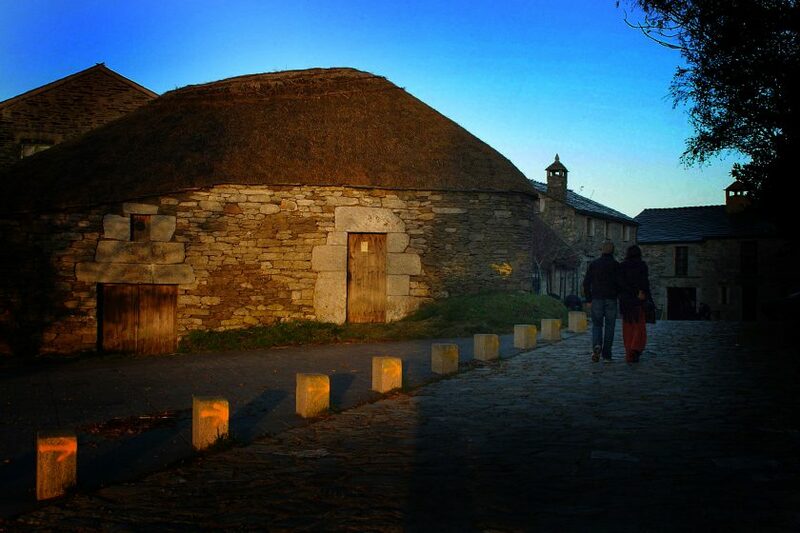 The Galician Ministry of Culture and Tourism has just submitted a tender for the contract of repair, restoration and preventive conservation works on the ethnographic complex of pallozas (traditional huts) at Cebreiro, in the municipality of Pedrafita do Cebreiro, at the amount of 180,000 euros. The main works will comprise the replacement of the thatched straw roofs, which will be completely restored on three of the pallozas. The Quico palloza’s roof will be partially replaced and taken advantage of as it is in better condition. The wooden structure of the Palloza Museo roof will also be repaired. Equally importantly, the works will replace or repair slabs in the perimeter drain entrances, electricity and lighting will be improved and treatments to prevent insect attacks on wooden structures will be carried out. The works will be completed in four months. The four Cebreiro pallozas that form the complex are managed by Xunta de Galicia. So far this year, around 15,000 people (14,896 to be precise) visited the Palloza Museo between January and November. The highest number of visitors came between May and October. May was the month with the highest number of visitors this year, recording 2,278.